Now that Little Elliot has finally made it to the shelf (YAY! ), I’ll be hopping around the country to promote the book! I’ll be doing school visits and in-store events, as well as a few independent bookseller conferences. I’ll be reading Little Elliot, Big City, doing a drawing demo, and talking a little about my process. 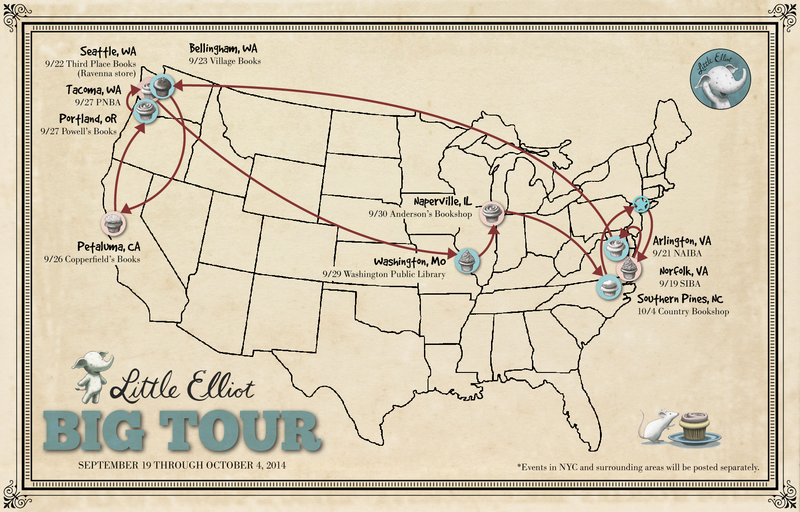 There might even be some Elliot swag at the in-store events 😉 Hope to see you there!